This amazing bronze torso is one of Eva’s very early pieces and it has really stood the test of time. 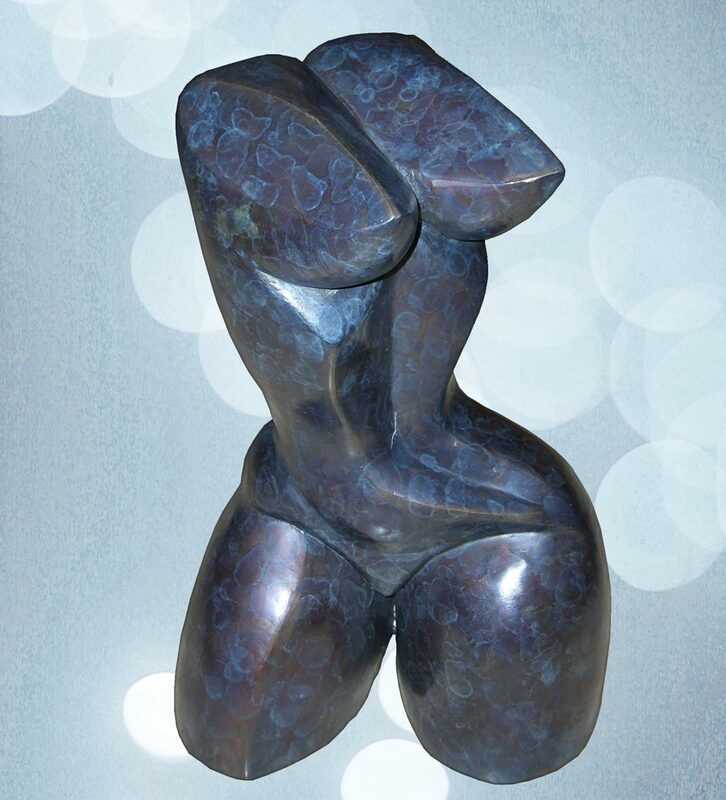 It’s combination of sharp and soft curves create a stunning modern bronze torso that would suit a variety of homes and placement (floor, hearth, plinth, display, etc.). For weight purposes the Modern Madonna has been hollowed out internally and is not completely solid.